The goal of this project was to make the campus chefs and and staff more visible and accessible to students. 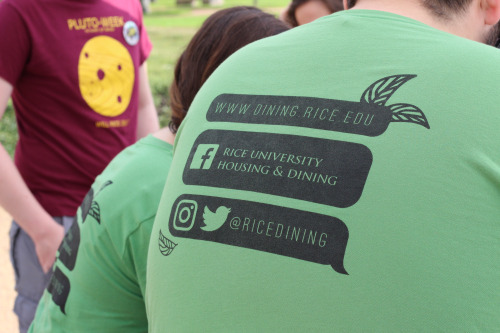 Rice’s dining program is unique in the way that students often dine in the same serveries and develop relationships with the chefs. Stickers with cartoon portraits make these people more recognizable to students so they feel more comfortable approaching them with anything- from dietary needs, to suggesting a favorite dish. During Orientation Week at Rice, students are given buttons from their advisors with their name and a few details about them. My take on this was to create buttons inspired by artist buttons that are often found in book stores and gallery shops, and incorporate aspects of the department. At Rice, each residential college selects a theme for orientation week that usually ends in “O” (such as “PicassO-Week” “Pokemon YellO-Week” “Sam and FrodO-Week” etc.) Our department also selected a theme and planned a pop-up event to give away merchandise and promote our social media accounts. 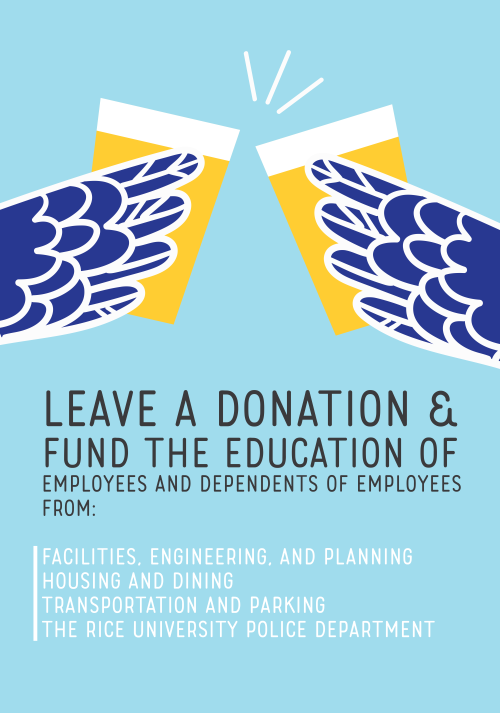 We also posted each day with a graphic that introduced a component of our department. Here are some promotional materials and designs I created.